Here is a fabulous (and rather humorous!) 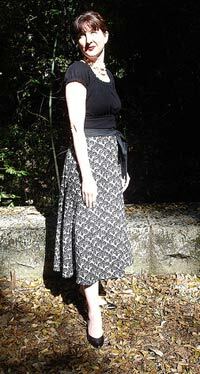 tutorial on how to make your own pattern for a wrap skirt from Bethany at Sew, Mama, Sew! My super-sewing friend Dori says this is the best tutorial she's seen. While this project might only take a weekend, I can guarantee you'll eat up a lot more time browsing the many fabulous projects on this website.